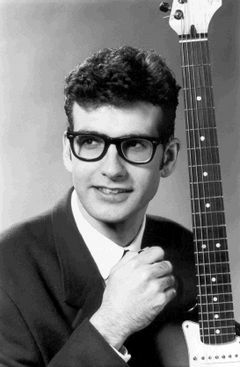 Jeff Scott wasn’t even born when Buddy Holly’s career was cut short in 1959. His first exposure to the Texan Rock and Roll legend came by way of the film starring Gary Busey. A native of Newmarket, Ontario, Jeff’s love for music led him to Toronto’s Humber College. Soon after graduating, he first auditioned for the Royal Alex production of “Buddy”, the role, friends said, he was “born to play”. Although Jeff didn’t land the leading role, he was soon asked to portray the 50’s singer while touring the United States with the Kokomo Beach Band. He honed his performance during a six week stay at the Aladdin Casino in Las Vegas. In time, Jeff would join the cast of Toronto’s “Rock and Roll Heaven”, a tribute to the rock and roll stars of the 50’s and 60’s, where he performed for people from all over the world. Since that time, Jeff has entertained audiences with his energetic interpretation of Buddy all over the United States and Canada, traveling as far as Hong Kong.